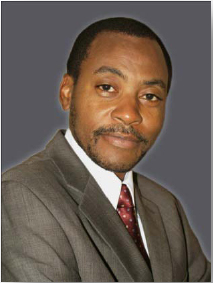 Dr. Ezeh received his PhD in Demography from the University of Pennsylvania (USA) in 1993. He also has an MA in Demography from the same university (1991), and an MSc in Sociology from the University of Ibadan, Nigeria (1988). Alex is the Executive Director of the African Population and Health Research Center (APHRC). He joined APHRC in 1998 (when the Center was a program of the Population Council in Nairobi) as a Senior Research Fellow. In 2000, he was appointed APHRC’s Interim Director, charged with the responsibility of leading its transition to an autonomous institution. Having successfully led this transition, he was appointed APHRC’s Executive Director in 2001, and has steered the young institution to phenomenal growth to date. Prior to joining APHRC, he worked at ORC/Macro International where he provided technical assistance to governmental and non-governmental institutions in several African countries in the design and conduct of Demographic and Health Surveys. Dr. Ezeh has more than 20 years of experience working in public health and has authored numerous scientific publications covering the issues of population, demographics, health and health metrics. Currently, he participates on the boards and committees of several international public health organizations, including the World Health Organization, PATH, International Union for the Scientific Study of Population, University of Witwatersrand School of Public Health in South Africa, and the Wellcome Trust. Sharon Fonn is Professor and Head of the School of Public Health, University of the Witwatersrand which she has led since 2003. A medical doctor and registered public health specialist, she holds a PhD. She has previously worked for a decade as research director of the University’s Women’s Health Project. Previously Prof Fonn set up ‘Birth-to-Ten’ (now Twenty), a unique birth cohort following over 3000 children in Soweto, South Africa. Prior to this she served the newly developed trade union movement providing health and safety training and research; and is an experienced manager-innovator of rural and urban public health services. Her work on cervical cancer and a national cancer control programme for South Africa is well-recognised. She was awarded the Ministry of Science and Technology’s Distinguished Scientist Award for contributions to the quality of life of women in 2005 and has been a member of the Academy of Science of South Africa since 2004; she is also Woodrow Wilson Centre Scholar. She serves on several national and international boards, and is involved in international and United Nations initiatives. She also contributes to research leadership and support, and has published 50 papers in peer reviewed journals, books and book chapters, and over 20 technical reports mostly in the fields of women’s health, gender and health and health systems development. Much of her work has resulted in policy development which has been adopted nationally and has influenced international discourse. She was the first woman invited to deliver the annual T N Krishnan Memorial Lecture at the Sree Chtira Institute in Kerala India. Prof Fonn has served as advisor to the South African Dept of Health and the Department of Science of Technology and is a member of the World Economic Forum Global Agenda Council. She has been a reviewer for the European Commission Framework programmes, the US NIH and the WHO. Medical College of Nigeria in 1988. He had further training in Gynaecological Oncology at the University Hospital of South Manchester, Withington, United Kingdom from 1990 to 1991 and was a visiting scholar to the University of Pennsylvania, Philadelphia, USA from 1993 to 1997. He was appointed Professor of Obstetrics & Gynaecology at the University of Ibadan in October 1997 and he was the Provost of the University’s College of Medicine from August 2006 to July 2010. He has received several prizes for academic achievement during his undergraduate and postgraduate training including the International Women’s Health Coalition Training Fellowship, the Audrey Meyer Mars Clinical Oncology Fellowship of the American Cancer Society and the American Society of Reproductive Medicine Prize for Distinct Contribution to Science for the Best Poster Presentation at the 52nd Annual Meeting held in Boston, Massachusetts, USA, November 1996. Frances Griffiths trained in medicine at University of Cambridge and Kings College Hospital, London and went on to become a general practitioner in Stockton-on-Tees. While working as a GP she took a PhD at the University of Durham, Department of Sociology and Social Policy and was a founder member of the Northern Primary Care Research Network. Frances joined the University of Warwick in 1998, where she was a founding Director of the Warwick West-Midlands Primary Care Research Network. Her research interest is primarily in the impact of technology on perceptions of health. In 2003 she was awarded a Department of Health National Career Scientist Award to develop a programme of research on Complexity and Health. Frances uses research methods from social science and works with complexity scientists from disciplines including mathematics, statistics, engineering and economics. She continues her research on the impact of technology particularly medical imaging and lay understanding of health. She teaches research methods to students and health professionals and has written a book for this audience. Wilson has a PhD in Malaria Immunology from the Liverpool School of Tropical Medicine and a Masters Degree in Molecular Biology and Biochemistry from Kings College, London. His research interests are inclined towards malaria immunology and he is currently the PI in a study funded by MCDC which is focused on elucidating the role of regulatory T cells in the switch from uncomplicated malaria to severe malaria in Malawian children. He is also involved in research studies pertaining to salmonella and HIV infections. He is a Lecturer in Biochemistry at the College of Medicine, University of Malawi,Blantyre, Malawi. He is the current Acting Head of the Biochemistry Department and offers Basic Medical Studies lectures to students enrolled in the MBBS (medical degree), Pharmacy, Medical laboratory and Physiotherapy degree programmes. Wilson is the Coordinator of Postgraduate Studies at the College in the office of the Dean of Postgraduate studies and Research as well as the Country Coordinator of the Malaria Capacity Development Consortium (MCDC) Project in Malawi, which currently funds three PhD students. He is also the Coordinator of the University of Liverpool/ College of Medicine Joint PhD programme which was launched in October 2009 and currently has 10 PhD students. He also serves as a member of the MCDC Mentorship Programme. Wilson is a member of the College of Medicine Research and Ethics Committee and has been a CARTA Board Member since June 2010. He is also a member of the University of Malawi (UNIMA) CARTA Steering Committee in Malawi and the Vice Chairman of the Board of the Sports Complex at the College. Dr. Rama B.Rao is a professor of management with more than 3 decades of teaching and research experience at undergraduate and graduate level. To his credit published two books and 25 papers in the field of management. He had experience both in India and Rwanda in heading the Departments of Management. He was the founder Director of the Postgraduate Studies of the National University of Rwanda. His one of the research area is service delivery efficiency with reference to health services in Rwanda. He is currently pursuing the process of starting a master program in Population Studies and a concentration in Health Management at MBA level and PhD level in the Faculty of Economics and Management. He was responsible for introducing CARTA in Rwanda and popularizing among the stakeholders’ groups. 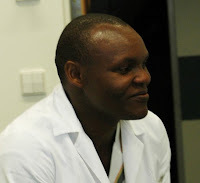 Dr. Honorati Masanja is Director of Research at the Ifakara Health Institute, Tanzania, where he joined in 1992 as a participant in the first malaria vaccine trial in Africa (SPf66). He received his MSc Medical Statistics at the London School of Hygiene and Tropical Medicine and his PhD in epidemiology at the University of Basel, Switzerland. Dr. Masanja has vast experience in data management, analysis of clinical trials and in evaluation of large maternal and child health effectiveness programs. He has lectured a module in health informatics at the University of Dar es Salaam, and also supervised MSc Population Based Field Epidemiology students from Witwatersrand University in South Africa during their field attachment at Ifakara. Dr Masanja has published extensively in the area of malaria epidemiology, maternal and child health in internationally renowned journals. He has spearheaded the establishment of the Rufiji Health and Demographic Surveillance System (RHDSS), as system that provides annual information on births, deaths, causes of deaths and migration in a population of approximately 90,000 people. RHDSS data also feeds into the national planning and reporting tool (PlanRep2). Dr. Masanja has also pioneered the establishment of the sentinel panel of districts (SPD) in 23 districts. This is a national platform that is expected to provide both national level estimates on causes of deaths from the community and health information system data on various routine and program indicators for health sector monitoring in mainland Tanzania.